The backlog of retirement claims at the Office of Personnel Management increased slightly last month thanks to the agency receiving more than were processed. 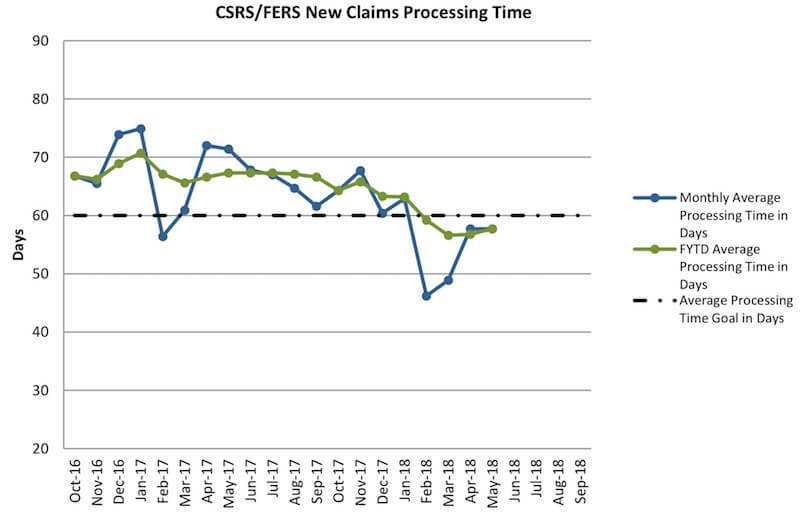 7,625 claims were received in May and OPM processed 7,090. The backlog increased from 17,489 at the end of April to 18,024, a 3% increase. The average processing time stayed the same as from the previous month, taking 58 days on average to process a retirement application. The backlog is almost 12% higher than it was a year ago at the same time, and it is 28% higher than it was at the end of May 2016 when it was at 14,035. The latest complete statistics are included below.